eZee BurrP!, point-of-sale system which is ideal for restaurants, bars, night clubs, fast food restaurants, and more. No matter which or what kind of restaurant. Whether a restaurant in a single store or a nationwide chain, eZee BurrP! will help in attaining a new level of efficiency in the business operations. The software also offers many modules for table reservation, stock, and material management. 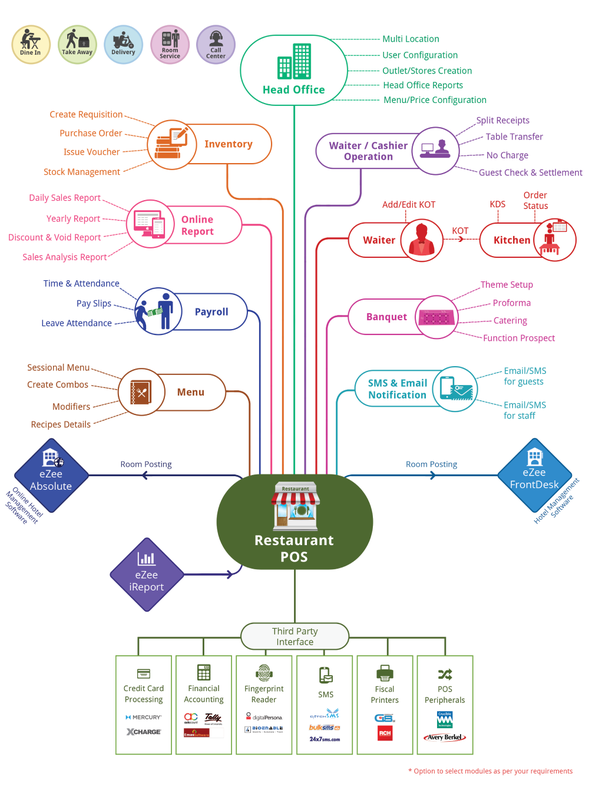 A kitchen display system for new orders, and allows restaurant managers to handle loyalty programs, promotions and gift vouchers, payroll, and a lot more with integration of PDA / Handheld devices for order taking facility. The web-based reporting helps anyone keep track of all the reports from anywhere in the world. Whether the need is to manage one loyalty program or many, keep table reservations up-to-date, manage the materials available to your chefs, or keep orders on track, eZee Burrp is always up to the task. Restaurant Software has been designed to integrate the various tasks of managing your food establishment into a single interface and make it easy for you to enhance the overall performance of your joint in terms of efficiency and profitability. At the same time, it is supremely flexible, gets updated regularly, and comes with top-notch, 24×7 technical support. eZee Burrp is fully compatible and can easily be integrated with eZee FrontDesk for ease of operations. It also offers complete PDA support and has a web interface that allows remote monitoring, reporting, and restaurant management. More info about eZee BurrP!